Apple's interest in indoor positioning technology could go well beyond just identifying a user's location, by offering estimated wait times at a variety of businesses, allowing iPhone users to adjust their schedules and save time by avoiding high-traffic periods of the day. Apple's concept would help users to avoid heavy foot traffic. Photo via Flickr user David Morris. Apple's concept was disclosed in a newly published patent application discovered by AppleInsider on Thursday entitled "Enhancing User Services with Indoor Traffic Information." 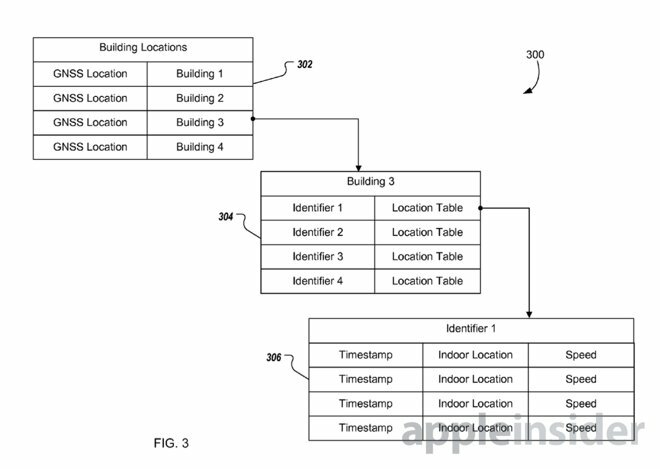 Apple's proposed invention would use a mobile device like an iPhone to collect not only location information, but also the time and speed associated with people moving in a building. Using this data, Apple could estimate the foot traffic and wait times at a variety of locations, ranging from the airport to the grocery store to a restaurant. For example, if a user needed to visit the Department of Motor Vehicles, Apple's technology could determine which office has the shortest lines at any given time, and advise the user to visit that location. In the event that the location cannot be changed, such as when the user has a flight scheduled, Apple's system could alert the user with reminders and give them a suggested time to arrive at the airport. 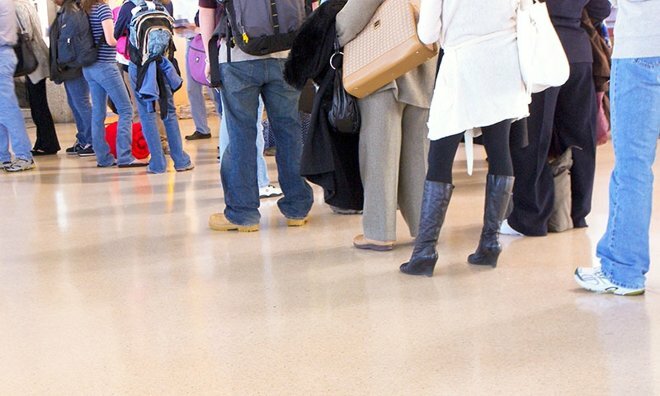 Doing so would allow users accommodate for heavy traffic and help ensure that they arrive at their gate on time. Apple's system would measure traffic by tracking data from a user's iPhone, measuring their movement over time. Those movements would be used to determine how long it takes for people to move through a specific location, estimating how long the lines might be at that particular spot. "The server can determine how long mobile devices (and their users) loiter around locations of interest or remain in a queue," the filing reads. "For example, the server can analyze the indoor traffic information to determine how long (e.g., on average) mobile devices have to wait near a cash register location." Apple's filing is particularly interesting because the company has already made it clear it's interested in indoor positioning technology, thanks to a number of key acquisitions. In particular, Apple purchased "indoor GPS" company WifiSLAM in 2013 for $20 million, and hired the CEO of indoor navigation company Wifarer last year. The iPhone maker has also filed other patents describing how it could use Wi-Fi access points to triangulate a user's location indoors, allowing for 3D positioning within buildings. The technology is necessary because traditional GPS is unreliable, and frequently completely unusable, when inside a structure. 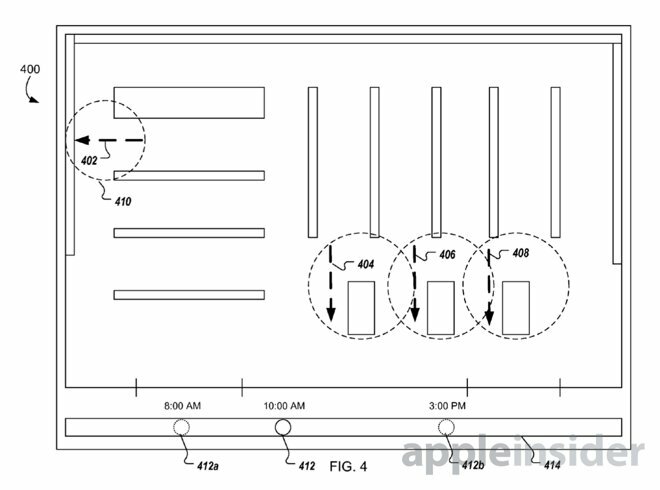 Apple's new indoor traffic patent application, published this week by the U.S. Patent and Trademark Office, was first filed in August of 2013. The proposed invention is credited to Ioan Vlad Uilecan and Sarin Shreyas Mehta.